This is a model home that will be part of Winterberry, a subdivision to be built in the town of Moreau by The Michaels Group Homes development company. Forty-nine units are planned. Michaels Group Homes plans to begin work this fall on a new 49-lot subdivision at the intersection of Fort Edward and Bluebird roads in the town of Moreau. 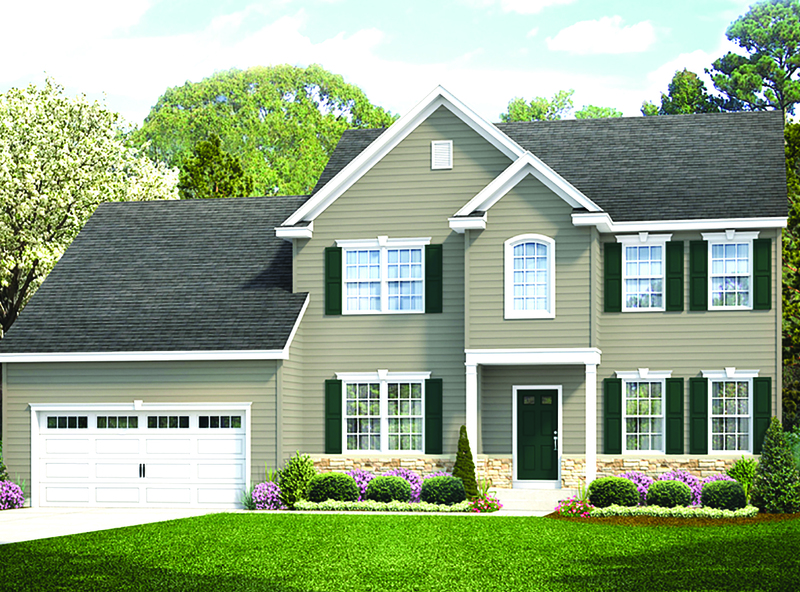 Luke Michaels, principal at Michaels Group Homes in Malta, said he expects to begin work on roads and utilities this fall and have a model home ready to open in the spring. The exact layout of the subdivision has not been determined nor have prices for the homes, he said. Moreau has been one of the fastest growing towns in Saratoga County. In the past 15 years, the population has gown by 11 percent to 15,300, matching the growth rate of Clifton Park, the county’s most populous town, according to Michaels. Winterberry will not have sewers. Those homes will have private septic systems and public water, he said. David Michaels, Luke’s uncle, purchased the 35.3 acres that will become Winterberry from Schermerhorn Residential Holdings for $950,000 last July. The Michaels Group has been building in the Moreau-South Glens Falls area for more than 20 years. Their first project in Queensbury was built in 1995 and Tanglewood, their first project in Moreau, was built in 2001. More recently, they completed Woodscape off Reservoir Road in Moreau and Pruyn Crest in the Village of South Glens Falls.